Amazingly, we are already half way through April. How that happened, I really haven’t got a clue. I suppose days turned to nights and nights back into days, but I feel like I was just ringing in 2012 and now we’re a third of the way done with it. But with April, we really get the start of the exciting part of the musical year. From Record Store day this Saturday to Coachella being the unofficial kick off to the summer festivals, good things are happening. And best of all, we get the initial singles to the albums that will soundtrack our months outside. 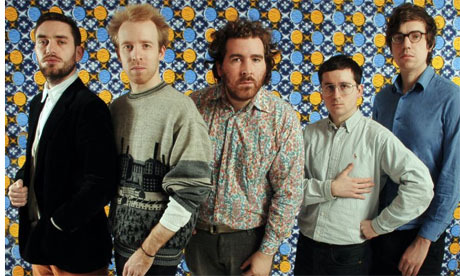 Hot Chip released the first single off their fifth studio album In Our Heads due out June 11th a few days ago and joined the already stellar list of soon to be releases. The track is entitled “Night and Day” and continues the electro dance beats of previous work. This new track has me extra excited as I will be getting my first up close and personal Hot Chip experience this summer on Saturday of Pitchfork Music Festival. And I can’t wait. So make sure to get this one into your rotation…it brings all the fun of the weekend to those ears whenever you need, or just want, it.